We offer wholesale pricing to resellers, including interior designers, gift shops, galleries, tourist markets and other retail establishments. Wholesale accounts require a reseller ID and minimum order quantities. --Custom photography. We're available to travel to your location and create a bank of images to meet your needs. --Enlargements - Fine art photos, available in a variety of sizes. We sell chemically processed, archival enlargements, available as matted prints or matted and framed. 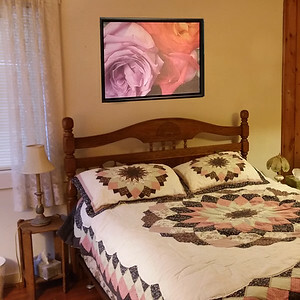 --Tabletop Accents-Our fine art photos printed and framed in smaller sizes, perfect for accent pieces. --Handmade Note Cards-Each card is handmade by us and signed on the back. Our competitive pricing allows resellers to offer beautiful and unique notecards at mass market prices. --Photo Magnets-Produced for the tourist market, our photo magnets are handmade by us, using heavy duty (1/16") magnet stock. Images are customized to client specifications, and our production style allows us to offer low minimums so you can stock variety without overbuying. 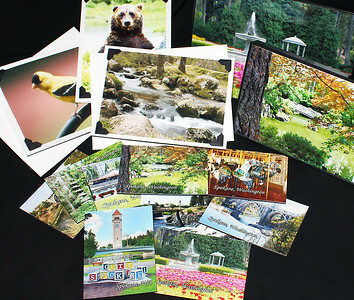 --Postcards-Produced for the tourist market, our postcards are printed in the USA and customized to client specifications. -Variety-The majority of our photographs are chemically processed, archival images in either color or black and white. We can also produce fine art canvas, metal or wood prints to order.